One hour after sunset on 18 June 1178, at least five men in southern England reported having witnessed an unusual phenomenon in the sky. According to the monk Gervasio, chronicler of the Abbey of Christ Church in Canterbury, the upper horn of the crescent Moon was split in two. “From the midpoint of the division a flaming torch sprang up, spewing out, over a considerable distance, fire, hot coals and sparks,” wrote Gervasio, adding that the Moon “writhed, as it were in anxiety” and that “it throbbed like a wounded snake.” After all this, the celestial body turned blackish. What did these men observe? The narrative of Gervasio of Canterbury remained almost forgotten for centuries until Jack B. Hartung, geophysicist at the State University of New York at Stony Brook, rediscovered it in 1976. The chronicler’s assertion that the witnesses had sworn the truth of the story on their honour aroused Hartung’s interest. This led him to publish a study that seemed to solve the historical enigma with an explanation as fabulous as the spectacle that Gervasio related. Hartung favoured the possibility that the origin was an enormous impact on the lunar surface. In the region where Gervasio had located the phenomenon, a 22-kilometre crater is located, named after the Italian philosopher and astronomer Giordano Bruno. 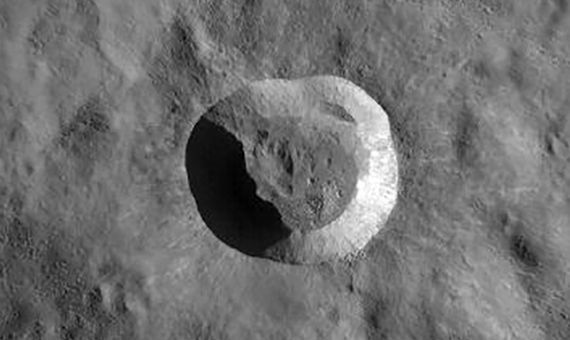 Studying the high-resolution images taken in the 1970s by the Apollo missions, Hartung could see that the long, bright radial marks produced during the formation of the crater had not yet been erased by the lunar dust spread by micrometeorites, indicating that its origin was recent and, therefore, could correspond to the phenomenon seen in 1178. However, this does not imply that Hartung’s theory was widely accepted. As early as 1977, meteorite specialists Harvey Harlow Nininger and Glenn I. Huss questioned the hypothesis, claiming that the formation of Giordano Bruno’s crater would not have caused the phenomena reported by the monk. 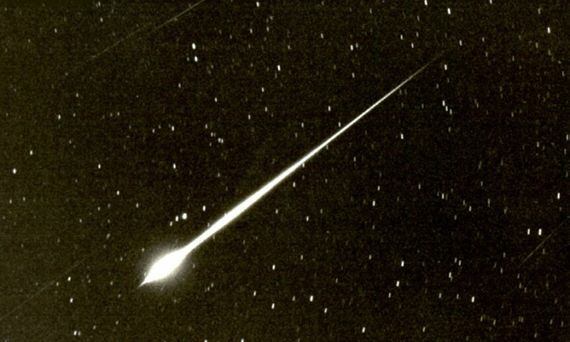 Instead, the two experts proposed another more plausible explanation that Hartung himself had mentioned in his study: the entrance of a meteorite into Earth’s atmosphere that coincidentally remained in the Moon’s visual line for observers from southern England. In 2001, then-graduate student Paul Withers of the University of Arizona put numbers on the lunar meteor shower that would have fallen on Earth if Giordano Bruno’s crater had been created in 1178. 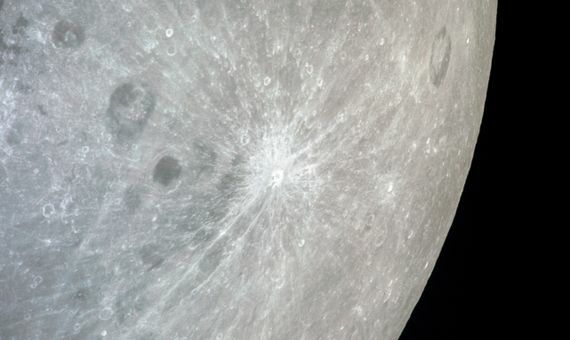 In his study, the astronomer detailed that the crater was created by the impact of an asteroid between one and three kilometres, which according to previous estimates would have released ten million tons of lunar material in the direction of Earth. ¿A real enigma or a fantasy? For Withers, this would explain why only a few people witnessed the alleged moon anomaly, which was, in his view, nothing of the sort. Unlike the asteroid whose impact more than one million years ago scarred the lunar surface with Giordano Bruno’s crater, the meteorite that could have caused the optical illusion of 1178 would have been of a small enough size to have burned up in the Earth’s atmosphere without major consequences. So, enigma solved? Perhaps there never even was an enigma: in his study, Withers outlined another even greater problem, which is that on 18 June 1178 the crescent Moon was not yet visible from Canterbury. The astronomer suggested that perhaps the date was incorrect, but in 2002 the historian of astronomy Peter Nockolds went further by suggesting that Gervasio’s story could be a complete fantasy: the monk, Nockolds argued, had the habit of associating strange celestial apparitions to Christian victories in the Crusades. The vision of the half moon breaking in two could merely be a propagandistic symbology about the triumph of the Crusaders against Islam. We will probably never know the truth.